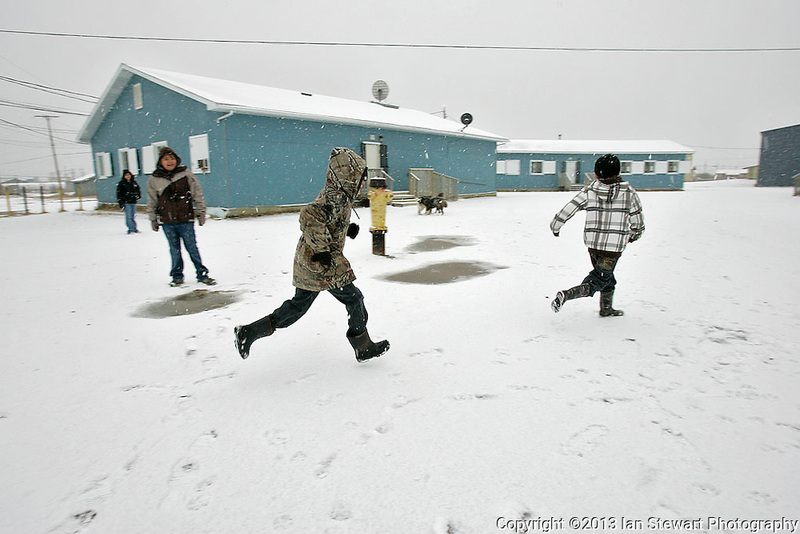 Children play in the yard of the makeshift elementary school, composed of portable classrooms. The previous elementary school building was contaminated with diesel fuel and was closed in 2000. The community has been pleading with the Canadian government for a new school for over a decade.